New to Godmanchester, or a visitor to the town, and you would like to know more about the St Mary’s community? Please collect a ‘Welcome’ flyer from the table by the entrance door at the church. Do make yourself known to the Vicar, one of the Churchwardens. In case of pastoral need on Monday Tuesday or Wednesday of this week please contact Jonathan Young on 453350. Come to our ANTARCTIC EXPLOITS TALK by Rod Arnold, who is a member of the British Antarctic Survey. He will examine how the scientists and pilots live in challenging temperatures, how polar science can help us support the wildlife, the king penguin and orca so beloved by the world; explain the science and examinesustainability. Flower Guild invite donations for the purchase of Lilies for our Easter flower arrangements. As in previous years personal dedications may be made to loved ones in the remembrance book by the memorial altar. Please place your donation in an Easter Lily envelope and post in the box by the south door or hand to Barbara Thirlwall. We are holding a retiring collection at the end of theservice to contribute to the Disaster Emergency Committee’s (DEC) appeal to help the people in Mozambique, Malawi and Zimbabwe affected by the worst cyclone ever to hit southern Africa. According to DEC, 750 people are known to have been killed, the total islikely to be much higher, and over 2.5 million made homeless. For generations the uplifting experience of the Passover meal has been celebrated and is seen in the context of God’s saving love, stretching from creation over the whole course of human history. Celebrating this meal together is a wonderful opportunity to discover a fresh way of telling the story of God’s love, through tastes, textures, prayers readings and songs. This traditional order, or Seder, ofthis special evening will take place in the St Mary the Virgin Church Hall in Chadley Lane, Godmanchester PE29 2AL. There is a charge of £4.00 for adults but nocharge for children, as children are the key to this celebration. Tickets will be available after the 09.30 am service on 31 March, 7 and 14 April. Tickets can also be reserved on 01480 493 901. If leaving a message, please advise how many adults and children wish to attend and leave your name and telephone details so that we can contact you. Christian Aid week begins on May 12 with a sung Evensong in Church. I am looking for people who would be happy to deliver envelopes in a street or two.I know collecting is an issue but we could overcome this for houses or streets that are difficult by giving them a location for dropping off their envelopes. If you feel you could help please let me know on 417502. Thank you. As in previous years, we will be performing the ritual of foot washing, for which we require 12 volunteers from the congregation. This is of course a re-enactment of what Jesus did for his disciples at the last Supper. If you would like to have your feet washed as a way of entering more deeply into the meaning of Maundy Thursday, please put your name on the list by the south door of the church. We will be keeping the usual watch at the St Anne’s Altar from the end of the Eucharist of the Last Supper until midnight. If you would like to participate by keeping watch during one or more of the half-hour slots, please put your name on the list at the back of the church. The formal “Notice of Annual Parochial Church Meeting” is on the main notice board in the South Porch. 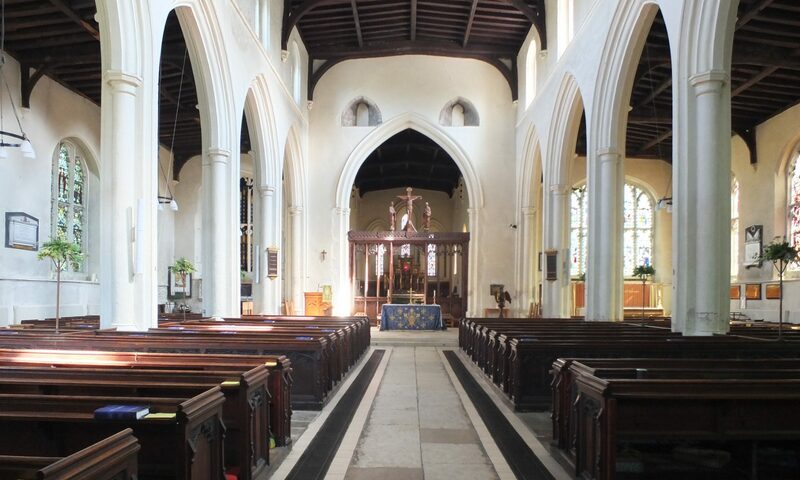 The election of churchwardens and APCM will be held in the Church Hall on Sunday 28 April 2019 starting at 11:15. The meeting includes the election of 2 Churchwardens, 2 members of the PCC and1 Representative to Deanery Synod, who automatically become members of the PCC. Nomination forms for churchwardens and PCC members are available on the table by the south door of the church, or from Kate Robinson (PCC Secretary) or klrobinson80@gmail.com. If you would like to be nominated, please complete a form and return it to me by Friday 26 April. Regulations on eligibility to be a churchwarden or a member of the PCC are on the back of the appropriate nomination forms. Anybody registered on the local government electoral roll is entitled to vote for the election of the churchwardens, but only persons whose names are entered upon the Church Electoral Roll are entitled to vote at the APCM. If you are member of the congregation, but are not on the electoral roll, please complete an electoral roll form and return it to me as I also act as the Electoral Roll Officer. Please note that a new Electoral Roll is being compiled and if you do not complete a form and return it to me by Friday, 12 April, you will be unable to vote at the APCM. Copies of the form are on the table by the south door; they are also on the church website. You can download the form and scan and email the signed form back to me at the email address below if you prefer. Members of the congregation wishing to raise any item under “Any other business” are asked to give notice of the item to me by Friday 26 April.